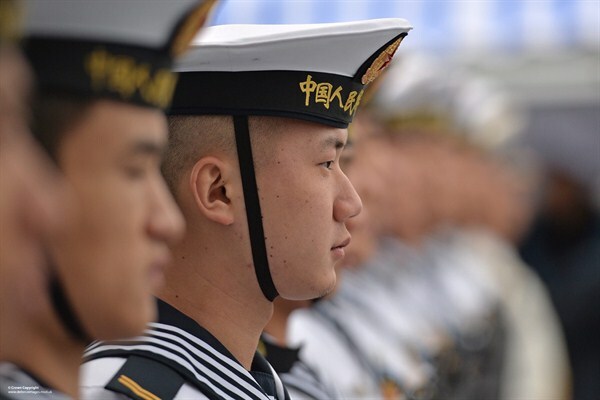 China’s Naval Modernization: Where Is It Headed? Chinese sailors of the Changbai Shan, a Yuzhao-class amphibious transport dock, Portsmouth, U.K., Jan. 12, 2015 (U.K. Ministry of Defence photo). Editor’s note: This article is one of three briefings on China’s rise and its implications for U.S. regional and global interests, coinciding with an upcoming panel, in collaboration with WPR, at the St. Petersburg Conference on World Affairs on Feb. 17-19 in St. Petersburg, Florida. The first, on China’s global economic ambitions, appeared Monday; the third, on China’s cyber strategy, will appear Friday.